It's the high-season for nabe-mono (hot pot) right now, although I like doing hot pot any time of the year (even in the summertime!). Here's my beautiful classic-style donabe, "Yu Kizeto". It's a unique "handleless" donabe (I like to call it UFO donabe) and very light weight. 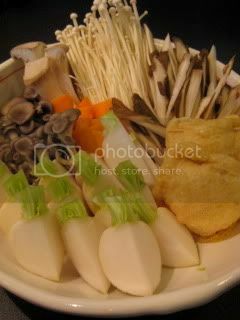 I made a very popular winter hot pot, "Sake-kasu Nabe". 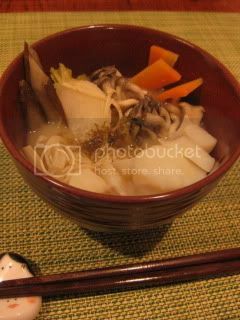 The broth is made with dashi broth and sake lees ("sake kasu"), so the aroma is so rich and you can really smell "sake" in it. 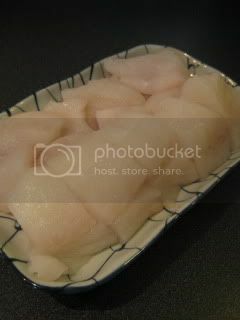 To cook in the broth, I picked up some cod, kabu (Japanese turnip), mushrooms, etc. 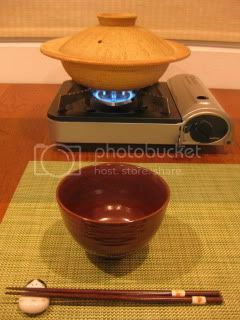 Donabe was set on a table-top stove. Ingredients were cooked in the broth. In a short time, everything was cooked and ready. The aroma was even more gorgeous. 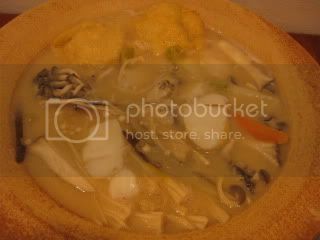 Such a balanced and flavorful bowl of stew. 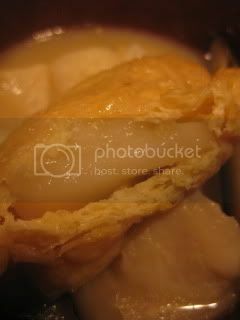 I also cooked moch and cheese stuffed abura-age (fried tofu pouch). It was so great. 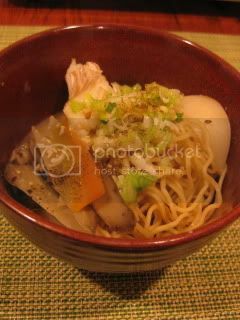 Since I had some extra Chinese noodles in the fridge, I cooked them in the broth as a "shime" (end of the meal) course. So delightful. I posted the recipe on toiro's website. Hope you will try this dish. Author of DONABE cookbook (Ten Speed Press, Oct 2015). I am from Tokyo, and currently live in Los Angeles. I cook with donabe (Japanese clay pot) every day when I'm home and promote happy donabe lifestyle to people around the world. In 2008, I established a company called, toiro kitchen, an online donabe shop and a US representative of Nagatani-en (iga-mono brand), a producer of authentic Iga-yaki donabe and pottery, founded in 1832 in Iga, Japan. 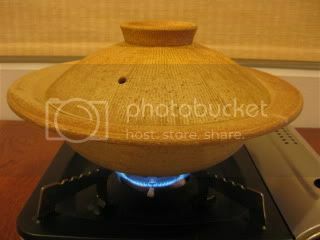 Check out toiro kitchen website: toirokitchen.com) Happy donabe life! Mochi time...New Year "Kagami Biraki"
toiro news: Kamado-san on Food & Wine magazine! ©Naoko Moore. Simple theme. Powered by Blogger.